For the 1979 conflict between Tanzanian and combined Libyan and Ugandan forces, see Battle of Entebbe. Operation Entebbe or Operation Thunderbolt was a successful counter-terrorist hostage-rescue mission carried out by commandos of the Israel Defense Forces (IDF) at Entebbe Airport in Uganda on 4 July 1976. A week earlier, on 27 June, an Air France Airbus A300 with 248 passengers had been hijacked by two members of the Popular Front for the Liberation of Palestine – External Operations (PFLP-EO) under orders of Wadie Haddad (who had earlier broken away from the PFLP of George Habash), and two members of the German Revolutionary Cells. The hijackers had the stated objective to free 40 Palestinian and affiliated militants imprisoned in Israel and 13 prisoners in four other countries in exchange for the hostages. The flight, which had originated in Tel Aviv with the destination of Paris, was diverted after a stopover in Athens via Benghazi to Entebbe, the main airport of Uganda. The Ugandan government supported the hijackers, and dictator Idi Amin, who had been informed of the hijacking from the beginning, personally welcomed them. After moving all hostages from the aircraft to a disused airport building, the hijackers separated all Israelis and several non-Israeli Jews from the larger group and forced them into a separate room. Over the following two days, 148 non-Israeli hostages were released and flown out to Paris. Ninety-four, mainly Israeli, passengers along with the 12-member Air France crew, remained as hostages and were threatened with death. The IDF acted on information provided by the Israeli intelligence agency Mossad. The hijackers threatened to kill the hostages if their prisoner release demands were not met. This threat led to the planning of the rescue operation. These plans included preparation for armed resistance from Ugandan troops. The operation took place at night. Israeli transport planes carried 100 commandos over 4,000 kilometres (2,500 mi) to Uganda for the rescue operation. The operation, which took a week of planning, lasted 90 minutes. Of the 106 remaining hostages, 102 were rescued and three were killed. The other hostage was in a hospital and was later killed. Five Israeli commandos were wounded and one, unit commander Lt. Col. Yonatan Netanyahu, was killed. Netanyahu was the older brother of Benjamin Netanyahu, who would later become Prime Minister of Israel. All the hijackers and forty-five Ugandan soldiers were killed, and eleven Soviet-built MiG-17s and MiG-21s of Uganda's air force were destroyed. Kenyan sources supported Israel, and in the aftermath of the operation, Idi Amin issued orders to retaliate and slaughter several hundred Kenyans then present in Uganda. There were 245 Kenyans in Uganda killed and 3,000 fled. Operation Entebbe, which had the military codename Operation Thunderbolt, is sometimes referred to retroactively as Operation Jonathan in memory of the unit's leader, Yonatan Netanyahu. On 27 June 1976, Air France Flight 139, an Airbus A300B4-203, registration F-BVGG (c/n 019), departed from Tel Aviv, Israel, carrying 246 mainly Jewish and Israeli passengers and a crew of 12. The plane flew to Athens, Greece, where it picked up an additional 58 passengers, including four hijackers. [nb 1] It departed for Paris at 12:30 pm. Just after takeoff, the flight was hijacked by two Palestinians from the Popular Front for the Liberation of Palestine – External Operations (PFLP-EO), and by two Germans, Wilfried Böse and Brigitte Kuhlmann, from the German Revolutionary Cells. The hijackers diverted the flight to Benghazi, Libya. There it was held on the ground for seven hours for refuelling. During that time the hijackers released British-born Israeli citizen Patricia Martell, who pretended to have a miscarriage. The plane left Benghazi and at 3:15 pm on the 28th, more than 24 hours after the flight's original departure, it arrived at Entebbe Airport in Uganda. At Entebbe, the four hijackers were joined by at least four others, supported by the forces of Uganda's President, Idi Amin. The hijackers transferred the passengers to the transit hall of the disused former airport terminal where they kept them under guard for the following days. Amin came to visit the hostages almost on a daily basis, updating them on developments and promising to use his efforts to have them freed through negotiations. On 28 June, a PFLP-EO hijacker issued a declaration and formulated their demands: In addition to a ransom of US$5 million for the release of the airplane, they demanded the release of 53 Palestinian and Pro-Palestinian militants, 40 of whom were prisoners in Israel. They threatened that if these demands were not met, they would begin to kill hostages on 1 July 1976. On 29 June, after Ugandan soldiers had opened an entrance to a room next to the crowded waiting hall by destroying a separating wall, the hijackers separated the Israelis (including those holding dual citizenship) from the other hostages[nb 2] and told them to move to the adjoining room. As they did so, a Holocaust survivor showed hijacker Wilfried Böse a camp registration number tattooed on his arm. Böse protested "I'm no Nazi! ... I am an idealist". In addition, five non-Israeli hostages – two ultra-orthodox Jewish couples from the US and Belgium and a French resident of Israel – were forced to join the Israeli group. According to Monique Epstein Khalepski, the French hostage among the five, the captors had singled them out for questioning and suspected them of hiding their Israeli identities. On the other hand, according to French hostage Michel Cojot-Goldberg, the captors failed to identify at least one Israeli among the passengers who was a military officer with dual citizenship then using his non-Israeli passport and he was later freed as part of the second release of non-Israeli hostages. US citizen Janet Almog, Frenchwoman Jocelyne Monier (whose husband or boyfriend was Israeli), and French-Israeli dual citizen Jean-Jacques Mimouni, whose name had not been called up during the reading of the original passport-based list, reportedly joined the Israeli hostage group by their own choice. On 30 June, the hijackers released 48 hostages. The released were picked from among the non-Israeli group – mainly elderly and sick passengers and mothers with children. Forty-seven of them were flown to Paris, and one passenger was treated in hospital for a day. On 1 July, after the Israeli government had conveyed its agreement to negotiations, the hostage-takers extended their deadline to noon on 4 July and released another group of 100 non-Israeli captives who again were flown to Paris a few hours later. Among the 106 hostages staying behind with their captors at Entebbe airport were the 12 members of the Air France crew who refused to leave, about ten young French passengers, and the Israeli group of some 84 people. In the week before the raid, Israel tried using political avenues to obtain the release of the hostages. Many sources indicate that the Israeli cabinet was prepared to release Palestinian prisoners if a military solution seemed unlikely to succeed. A retired IDF officer, Baruch "Burka" Bar-Lev, had known Idi Amin for many years and was considered to have a strong personal relationship with him. At the request of the cabinet, he spoke with Amin on the phone many times, trying to gain the release of the hostages, without success. The Israeli government also approached the United States government to deliver a message to Egyptian president Anwar Sadat, asking him to request that Amin release the hostages. Prime minister Yitzhak Rabin and defence minister Shimon Peres spent one week disagreeing on whether to give in to the hijackers' demands (Rabin's position) or not, to prevent more terrorism (Peres' position). At the 1 July deadline, the Israeli cabinet offered to negotiate with the hijackers to extend the deadline to 4 July. Amin also asked them to extend the deadline until that date. This meant he could take a diplomatic trip to Port Louis, Mauritius, to officially hand over chairmanship of the Organisation of African Unity to Seewoosagur Ramgoolam. This extension of the hostage deadline proved crucial to providing Israeli forces enough time to get to Entebbe. On 3 July, at 18:30, the Israeli cabinet approved a rescue mission, presented by Major General Yekutiel "Kuti" Adam and Brig. Gen. Dan Shomron. Shomron was appointed as the operation commander. As the crisis unfolded, attempts were made to negotiate the release of the hostages. According to declassified diplomatic documents, the Egyptian government under Sadat tried to negotiate with both the PLO and the Ugandan government. PLO chairman Yasser Arafat sent his political aide Hani al-Hassan to Uganda as a special envoy to negotiate with the hostage takers and with Amin. However, the PFLP-EO hijackers refused to see him. When Israeli authorities failed to negotiate a political solution, they decided that their only option was an attack to rescue the hostages. 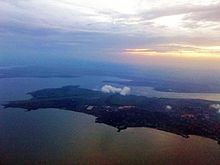 Lt. Col. Joshua Shani, lead pilot of the operation, later said that the Israelis had initially conceived of a rescue plan that involved dropping naval commandos into Lake Victoria. The commandos would have ridden rubber boats to the airport on the edge of the lake. They planned to kill the hijackers and after freeing the hostages, they would ask Amin for passage home. The Israelis abandoned this plan because they lacked the necessary time and also because they had received word that Lake Victoria was inhabited by the Nile crocodile. Amnon Biran, the mission's intelligence officer, later stated that the proper layout of the airport was unknown, as was the exact location of the hostages and whether the building had been prepared with explosives. While planning the raid, the Israeli forces had to plan how to refuel the Lockheed C-130 Hercules aircraft they intended to use while en route to Entebbe. The Israelis lacked the logistical capacity to aerially refuel four to six aircraft so far from Israeli airspace. While several East African nations, including the logistically preferred choice Kenya, were sympathetic, none wished to incur the wrath of Amin or the Palestinians by allowing the Israelis to land their aircraft within their borders. The raid could not proceed without assistance from at least one East African government. The Jewish owner of the Block hotels chain in Kenya, along with other members of the Jewish and Israeli community in Nairobi, may have used their political and economic influence to help persuade Kenya's President Jomo Kenyatta to help Israel. The Israeli government secured permission from Kenya for the IDF task force to cross Kenyan airspace and refuel at what is today Jomo Kenyatta International Airport. Uganda’s Ambassador to Lesotho overheard some of the details of the operation from Kenya Air Force officers who were discussing the possibility of Israeli compensation for the assistance, and forwarded the information to Ugandan commander Isaac Maliyamungu. Maliyamungu did not alert Amin or take any action on the intelligence. Kenyan Minister of Agriculture Bruce MacKenzie persuaded Kenyan President Kenyatta to permit Mossad to collect intelligence prior to the operation, and to allow the Israeli Air Force access to the Nairobi airport. In retaliation, Ugandan President Idi Amin ordered Ugandan agents to assassinate MacKenzie. He was killed on 24 May 1978 when a bomb attached to his aircraft exploded. Later, Mossad Chief Director Meir Amit had a forest planted in Israel in MacKenzie's name. The Mossad built an accurate picture of the whereabouts of the hostages, the number of hijackers, and the involvement of Ugandan troops from the released hostages in Paris. Additionally, Israeli firms were involved in building projects in Africa during the 1960s and 1970s and while preparing the raid the Israeli army consulted with Solel Boneh, a large Israeli construction company that had built the terminal where the hostages were held. While planning the military operation the IDF erected a partial replica of the airport terminal with the assistance of civilians who had helped build the original. Muki Betser said in a later interview that Mossad operatives extensively interviewed the hostages who had been released. He said that a French-Jewish passenger who had a military background and "a phenomenal memory" provided detailed information about the number of weapons carried by the hostage-takers. After Betzer collected intelligence and planned for several days, four Israeli Air Force C-130 Hercules transport aircraft secretly flew to Entebbe Airport at midnight without being detected by Entebbe air traffic control. This small group comprised the operation and overall ground commander, Brigadier General Dan Shomron, the air force representative Col. Ami Ayalon and the communications and support personnel. A 29-man assault unit led by Lt. Col. Yonatan Netanyahu – this force was composed entirely of commandos from Sayeret Matkal, and was given the primary task of assaulting the old terminal and rescuing the hostages. Major Betser led one of the element's assault teams, and took command after Lt. Col. Netanyahu was killed. The Paratroopers force led by Col. Matan Vilnai – tasked with securing the civilian airport field, clearing and securing the runways, and protection and fuelling of the Israeli aircraft in Entebbe. The Golani force led by Col. Uri Sagi – tasked with securing the C-130 Hercules aircraft for the hostages' evacuation, getting it as close as possible to the terminal and boarding the hostages; also with acting as general reserves. The Sayeret Matkal force led by Major Shaul Mofaz – tasked with clearing the military airstrip, and destroying the squadron of MiG fighter jets on the ground, to prevent any possible interceptions by the Ugandan Air Force; also with holding off hostile ground forces from the city of Entebbe. Taking off from Sharm el-Sheikh, the task force flew along the international flight path over the Red Sea, mostly flying at a height of no more than 30 m (100 ft) to avoid radar detection by Egyptian, Sudanese, and Saudi Arabian forces. Near the south outlet of the Red Sea the C-130s turned south and passed south of Djibouti. 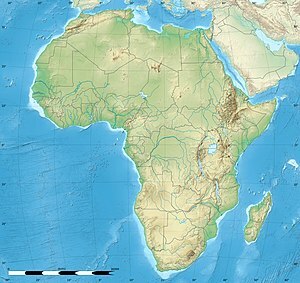 From there, they went to a point northeast of Nairobi, Kenya, likely across Somalia and the Ogaden area of Ethiopia. They turned west, passing through the African Rift Valley and over Lake Victoria. The Israeli forces landed at Entebbe on 3 July at 23:00 IST, with their cargo bay doors already open. Because the proper layout of the airport was not known, the first plane almost taxied into a ditch. A black Mercedes car that looked like President Idi Amin's vehicle and Land Rovers that usually accompanied Amin's Mercedes were brought along. The Israelis hoped they could use them to bypass security checkpoints. When the C-130s landed, Israeli assault team members drove the vehicles to the terminal building in the same fashion as Amin. As they approached the terminal, two Ugandan sentries, aware that Idi Amin had recently purchased a white Mercedes, ordered the vehicles to stop. Netanyahu ordered the commandos to shoot the sentries using silenced pistols, but they did not kill them. This was against the plan and against the orders. As they pulled away, an Israeli commando in one of the following Land Rovers killed them with an unsuppressed rifle. Fearing the hijackers would be alerted prematurely, the assault team quickly approached the terminal. A 1994 photograph of the old terminal with a U.S. Air Force C-130 Hercules parked in front. Bullet holes from the 1976 raid are still visible. The Israelis left their vehicles and ran towards the terminal. The hostages were in the main hall of the airport building, directly adjacent to the runway. Entering the terminal, the commandos shouted through a megaphone, "Stay down! Stay down! We are Israeli soldiers," in both Hebrew and English. Jean-Jacques Maimoni, a 19-year-old French immigrant to Israel, stood up and was killed when Israeli company commander Muki Betzer and another soldier mistook him for a hijacker and fired at him. Another hostage, Pasco Cohen, 52, was also fatally wounded by gunfire from the commandos. In addition, a third hostage, 56-year-old Ida Borochovitch, a Russian Jew who had emigrated to Israel, was killed by a hijacker in the crossfire. According to hostage Ilan Hartuv, Wilfried Böse was the only hijacker who, after the operation began, entered the hall housing the hostages. At first he pointed his Kalashnikov rifle at hostages, but "immediately came to his senses" and ordered them to find shelter in the restroom, before being killed by the commandos. According to Hartuv, Böse fired only at Israeli soldiers and not at hostages. At one point, an Israeli commando called out in Hebrew, "Where are the rest of them?" referring to the hijackers. The hostages pointed to a connecting door of the airport's main hall, into which the commandos threw several hand grenades. Then, they entered the room and shot dead the three remaining hijackers, ending the assault. Meanwhile, the other three C-130 Hercules aeroplanes had landed and unloaded armoured personnel carriers to provide defence during the anticipated hour of refuelling. The Israelis then destroyed Ugandan MiG fighter planes to prevent them from pursuing, and conducted a sweep of the airfield to gather intelligence. After the raid, the Israeli assault team returned to their aircraft and began loading the hostages. Ugandan soldiers shot at them in the process. The Israeli commandos returned fire with their AK47s, inflicting casualties on the Ugandans. During this brief but intense firefight, Ugandan soldiers fired from the airport control tower. At least five commandos were wounded, and the Israeli unit commander Yonatan Netanyahu was killed. Israeli commandos fired light machine guns and a rocket-propelled grenade back at the control tower, suppressing the Ugandans' fire. According to one of Idi Amin's sons, the soldier who shot Netanyahu, a cousin of the Amin family, was killed in the return fire. The Israelis finished evacuating the hostages, loaded Netanyahu's body into one of the planes, and left the airport. The entire operation lasted 53 minutes – of which the assault lasted only 30 minutes. All seven hijackers present, and between 33 and 45 Ugandan soldiers, were killed. [need quotation to verify] Eleven Soviet-built MiG-17 and MiG-21 fighter planes of the Ugandan Air Force were destroyed on the ground at Entebbe Airport. Out of the 106 hostages, three were killed, one was left in Uganda (74-year-old Dora Bloch), and approximately 10 were wounded. The 102 rescued hostages were flown to Israel via Nairobi, Kenya, shortly after the raid. Members of family pay last respects to Dora Bloch, 75, after she was murdered by officers of the Ugandan army. Dora Bloch, a 74-year-old Israeli who also held British citizenship, was taken to Mulago Hospital in Kampala after choking on a chicken bone. After the raid she was murdered by officers of the Ugandan army, as were some of her doctors and nurses, apparently for trying to intervene. [nb 3] In April 1987, Henry Kyemba, Uganda's Attorney general and Minister of Justice at the time, told the Uganda Human Rights Commission that Bloch had been dragged from her hospital bed and killed by two army officers on Amin's orders. Bloch was shot and her body was dumped in the trunk of a car that had Ugandan intelligence services number plates. Her remains were recovered near a sugar plantation 20 miles (32 km) east of Kampala in 1979, after the Ugandan–Tanzanian War ended Amin's rule. Amin also ordered the killing of hundreds of Kenyans living in Uganda in retaliation for Kenya's assistance to Israel in the raid. Uganda killed 245 Kenyans, including airport staff at Entebbe. To avoid massacre, approximately 3,000 Kenyans fled Uganda as refugees. The United Nations Security Council convened on 9 July 1976, to consider a complaint from the Chairman of the Organization of African Unity charging Israel with an "act of aggression". The Council allowed Israel's ambassador to the United Nations, Chaim Herzog, and Uganda's foreign minister, Juma Oris Abdalla, to participate without voting rights. UN Secretary General Kurt Waldheim told the Security Council that the raid was "a serious violation of the sovereignty of a Member State of the United Nations" though he was "fully aware that this is not the only element involved ... when the world community is now required to deal with unprecedented problems arising from international terrorism." Abdalla, the representative of Uganda, alleged that the affair was close to a peaceful resolution when Israel intervened while Herzog, the representative of Israel, accused Uganda of direct complicity in the hijacking. The US and UK sponsored a resolution which condemned hijacking and similar acts, deplored the loss of life arising from the hijacking (without condemning either Israel or Uganda), reaffirmed the need to respect the sovereignty and territorial integrity of all States, and called on the international community to enhance the safety of civil aviation. However, the resolution failed to receive the required number of affirmative votes because two voting members abstained and seven were absent. A second resolution sponsored by Benin, Libya and Tanzania, that condemned Israel, was not put to a vote. Western nations spoke in support of the raid. West Germany called the raid "an act of self-defence". Switzerland and France praised the operation. Representatives of the United Kingdom and United States offered significant praise, calling the Entebbe raid "an impossible operation". Some in the United States noted that the hostages were freed on 4 July 1976, 200 years after the signing of the US declaration of independence. In private conversation with Israeli Ambassador Dinitz, Henry Kissinger sounded criticism for Israeli use of US equipment during the operation, but that criticism was not made public at the time. In mid-July 1976, the supercarrier USS Ranger and her escorts entered the Indian Ocean and operated off the Kenyan coast in response to a threat of military action by forces from Uganda. Captain Bacos was awarded the Legion of Honour, and the other crew members were awarded the French Order of Merit. The Norfolk hotel in Nairobi, owned by a prominent member of the local Jewish community, was bombed on 31 December 1980. The bomb flattened the hotel, killing 20 people, of several nationalities, and wounding 87 more. It was believed to be an act of revenge by pro-Palestinian militants for Kenya's supporting role in Operation Entebbe. In the ensuing years, Betser and the Netanyahu brothers – Iddo and Benjamin, all Sayeret Matkal veterans – argued in increasingly public forums about who was to blame for the unexpected early firefight that caused Yonatan's death and partial loss of tactical surprise. As a result of the operation, the United States military developed rescue teams modelled on the unit employed in the Entebbe rescue. One notable attempt to imitate it was Operation Eagle Claw, a failed rescue of 53 American embassy personnel held hostage in Tehran during the Iran hostage crisis. In a letter dated 13 July 1976, the Supreme Commander's Staff of the Imperial Iranian Armed Forces praised the Israeli commandos for the mission and extended condolences for "the loss and martyrdom" of Netanyahu. Idi Amin was deposed as Uganda's dictator in 1979, less than three years after the operation. In August 2012, Uganda and Israel commemorated the raid at a sombre ceremony at the base of a tower at the Old Entebbe Airport, where Yonatan Netanyahu was killed. Uganda and Israel renewed their commitment to "fight terrorism and to work towards humanity". In addition, wreaths were laid, a moment of silence was held, speeches were given, and a poem was recited. The flags of Uganda and Israel waved side by side, demonstrating the two countries' strong bilateral relations, next to a plaque bearing a history of the raid. The ceremony was attended by Ugandan State Minister for Animal Industry Bright Rwamirama and the deputy Foreign Affairs Minister of Israel Daniel Ayalon, who laid wreaths at the site. Forty years to the day after the rescue operation, Israeli Prime-Minister, Benjamin Netanyahu, and brother of the slain Israeli Sayeret Matkal commando, Yoni Netanyahu, visited Entebbe with an Israeli delegation, and laid the groundwork for further Israeli–sub-Saharan African bilateral relations. Operation Thunderbolt: Entebbe, a documentary about the hijacking and the subsequent rescue mission. Rise and Fall of Idi Amin (1980), a biopic of the Ugandan dictator which features the raid. Rescue at Entebbe, Episode 12 of 2005 documentary series Against All Odds: Israel Survives by Michael Greenspan. Cohen on the Bridge (2010), a documentary by director Andrew Wainrib, who gained access to the surviving commandos and hostages. Live or Die in Entebbe (2012) by director Eyal Boers follows Yonatan Khayat's journey to uncover the circumstances of his uncle Jean-Jacques Maimoni's death in the raid. "Assault on Entebbe", an episode of the National Geographic Channel documentary Critical Situation. Operation Thunderbolt, the fifth episode in the 2012 Military Channel documentary series Black Ops. Victory at Entebbe (1976): with Anthony Hopkins, Burt Lancaster, Elizabeth Taylor and Richard Dreyfuss, Director: Marvin J. Chomsky. Raid on Entebbe (1977): with Peter Finch, Horst Buchholz, Charles Bronson, John Saxon, Yaphet Kotto, and James Woods, Director: Irvin Kershner, Producer: Edgar J. Scherick. Operation Thunderbolt (1977): with Yehoram Gaon played Col. Netanyahu, Sybil Danning and Klaus Kinski played the hijackers. Director: Menahem Golan. The Last King of Scotland (2006): The raid occurs as one episode in a longer story about Idi Amin. The Delta Force (1986) which featured a hostage rescue operation inspired by Operation Entebbe. Zameen (2003) is a Bollywood movie starring Ajay Devgan and Abhishekh Bachchan who draw a plan to rescue hostages of an Indian airliner hijacked by Pakistani militants on the basis of Operation Entebbe. Operation Thunderbolt, a 1988 arcade game. Tom Clancy's Rainbow Six: Rogue Spear's add-on "Black Thorn" (2001), included a stage which features a reenactment of the operation. To Pay the Price, a 2009 play by Peter-Adrian Cohen based in part on Yonatan Netanyahu's letters. The play, produced by North Carolina's Theatre Or opened off-off Broadway in New York in June 2009 during the Festival of Jewish Theater and Ideas. Follow Me: The Yoni Netanyahu Story (2011), a book recounting the life of the raid's commander Yonatan Netanyahu. Aspen Movie Map – a project whose funding came about because of Operation Entebbe. Operation Niki – a clandestine airlift of a battalion of Greek commandos from Crete to Cyprus in 1974. Lufthansa Flight 181 – a similar event the following year, involving a German airliner. Air France Flight 8969 – a similar hijacking and raid on another Air France airliner in 1994. ^ Sources state varying numbers of passengers, between 228 and 246; the higher figure is taken from The New York Times. ^ Claims by various authors that the separation was made between Jews and non-Jews are in conflict with eyewitness accounts and later they were expressly disclaimed by several former hostages as a "myth" or a manipulation by "sensation-hungry journalists and film-makers." ^ Now confidential cabinet papers released under the Freedom of Information Act show that the British High Commission in Kampala received a report from a Ugandan civilian that Mrs Bloch had been shot and her body dumped in the boot of a car which had Ugandan intelligence services number plates. ^ a b McRaven, Bill. "Tactical Combat Casualty Care – November 2010". MHS US Department of Defense. Archived from the original on 16 May 2011. Retrieved 15 July 2011. ^ a b "Entebbe raid". Encyclopædia Britannica. ^ a b c "BBC on This Day – 4 – 1976: Israelis rescue Entebbe hostages". BBC News. ^ a b Smith, Terence (4 July 1976). "Hostages Freed as Israelis Raid Uganda Airport; Commandos in 3 Planes Rescue 105-Casualties Unknown Israelis Raid Uganda Airport And Free Hijackers' Hostages". The New York Times. Retrieved 4 July 2009. ^ a b c d e Yossi Melman (8 July 2011). "Setting the record straight: Entebbe was not Auschwitz". Haaretz. Archived from the original on 27 December 2012. Retrieved 27 December 2012. ^ "Hijacking of Air France Airbus by Followers of Popular Front for the Liberation of Palestine – Israeli Action to liberate Hostages held at Entebbe Airport ..." (PDF). Keesing's Record of World Events. 22: 27888. August 1976. Retrieved 23 September 2014. ^ Furst, Alan (2016). "'Operation Thunderbolt,' by Saul David". The New York Times. ISSN 0362-4331. Retrieved 8 January 2018. ^ "Idi Amin's Son: My Dream Is to Apologize Personally to Family of Entebbe Victims". Ha'aretz. 14 June 2016. ^ a b "Freed Hostages Tell Their Story". Jewish Telegraphic Agency. 2 July 1976. Retrieved 23 September 2014. ^ a b Simon Dunstan (15 January 2011). Entebbe: The Most Daring Raid of Israel's Special Forces. The Rosen Publishing Group. pp. 20–24. ISBN 978-1-4488-1868-6. Retrieved 4 July 2012. ^ a b Mark Ensalaco (2008). Middle Eastern Terrorism: From Black September to September 11. University of Pennsylvania Press. pp. 96–. ISBN 978-0-8122-4046-7. Retrieved 4 July 2012. ^ "Entebbe; Thirty Years On; miracle on the runway". Jewish Telegraph. 2006. Retrieved 20 June 2011. ^ Sol Scharfstein (1 May 1994). Understanding Israel. KTAV Publishing House, Inc. pp. 118–. ISBN 978-0-88125-428-0. Retrieved 5 July 2012. ^ Dunstan, Simon (2009). Israel's Lighting Strike, The raid on Entebbe 1976. Osprey Publishing; Osprey Raid Series No. 2. p. 24. ISBN 978-1-84603-397-1. ^ a b "Mossad took photos, Entebbe Operation was on its way". Ynetnews. 2006. Retrieved 6 July 2009. ^ a b c d Feldinger, Lauren Gelfond (29 June 2006). "Back to Entebbe". The Jerusalem Post. Retrieved 4 July 2009. ^ a b "Operation Entebbe". The Knesset at Sixty. Retrieved 4 July 2009. ^ Ulrich Beyerlin: Abhandlungen: Die israelische Befreiungsaktion von Entebbe in völkerrechtlicher Sicht. (PDF-Datei; 2,3 MB) auf: zaoerv.de Max-Planck-Institut für ausländisches öffentliches Recht und Völkerrecht, 1977. ^ a b c d Aviv Lavie (31 July 2003). "Surviving the myth". Haaretz. Retrieved 23 September 2014. ^ "How the Rescue Took Place". Jewish Telegraphic Agency. 5 July 1976. Retrieved 23 September 2014. ^ a b c d e Hamilton, Fiona (27 February 2008). "General Dan Shomron". The Times. London. Retrieved 4 July 2009. ^ a b c d e Ben, Eyal (3 July 2006). "Special: Entebbe's unsung hero". Ynetnews. Retrieved 4 July 2009. ^ "Entebbe Thirty Years On: Mancunian On Board". Jewish Telegraph. Retrieved 22 September 2014. ^ Dunstan, Simon (2011). Entebbe: The Most Daring Raid of Israel's Special Forces. New York: Rosen. pp. 17–18. ^ "Detailed Story Of Dramatic Israeli Raid". Sarasota Herald-Tribune. 13 July 1976. Retrieved 22 September 2014. ^ "1976 Operation Entebbe". IDF blog. Israeli Defense Forces. Retrieved 23 September 2014. ^ a b Yehuda Ofer (1976). Operation Thunder: The Entebbe Raid. The Israeli's Own Story. Penguin. pp. 46–47. ISBN 0-14-052321-9. ^ Moufflet, Claude (1976). Otages à Kampala (in French). Presses de la Cité. p. 82. ^ a b c "La aventura del secuestro de Entebbe, contada por una protagonista". El País (in Spanish). 11 July 1976. Retrieved 23 September 2014. ^ Jerozolimski, Ana (13 July 2006). "Ada Lazarovitz (46), que hace 30 años fuera una de las rehenes en el avión de Air France secuestrado por terroristas en Entebbe, recuerda su liberación". Espacio Latino (in Spanish). Semanario Hebreo. Retrieved 23 September 2014. ^ a b Goldberg, Michel (1984). Namesake. Corgi. p. 122. ^ Tinnin, David (8 August 1977). "Like Father". Time. p. 2. Archived from the original on 18 October 2010. – A review of Hitler's children by Julian Becker,; Frum, David (2000). How We Got Here: The 70s the Decade That Brought You Modern Life – For Better or Worse. Basic Books. p. 342. ISBN 0465041965. ^ Ross, Philip (2 August 1976). "The Illustrated Story of the Great Israeli Rescue". New York Magazine. Retrieved 23 September 2014. ^ "Almogs Retell Hijack Tale". Heritage Florida Jewish News. 10 September 1976. Retrieved 23 September 2014. ^ Eetta Prince-Gibson, Eetta (7 March 2013). "Entebbe's Forgotten Dead". Tablet. Retrieved 23 September 2014. ^ David Kaplan, "A Historic Hostage-Taking Revisited," The Jerusalem Post, 3 August 2006, Retrieved 4 July 2018. ^ "The Entebbe Rescue Mission". Israel Defense Forces. Jewish Virtual Library. Retrieved 4 July 2009. ^ "Vindication for the Israelis". Time. 26 July 1976. ^ "War of Words over a Tense Border". Time. 26 July 1976. ^ "Conversation between Henry Kissinger and Israeli Ambassador Simch Dinitz, 30 June 1976" (PDF). Retrieved 24 July 2011. ^ a b c d Saul David (27 June 2015). "Israel's raid on Entebbe was almost a disaster". The Daily Telegraph. Retrieved 9 February 2018. ^ Grimes, Paul. "Rescuing the Entebbe Hostages". The New York Times. Friday, 30 July 1976. (The Weekend, p. 51). ^ Lipkin-Shakhak, Tali. "The Forgotten Hero of Entebbe". Historama. 16 June 2006. ^ Terence, Smith (4 July 1976). "Hostages Freed as Israelis Raid Uganda Airport". The New York Times. Retrieved 20 May 2010. ^ a b c "Israel Defense Forces – Entebbe Diary". Archived from the original on 9 December 2008. ^ "Herman Eilts (US Ambassador to Egypt) to Secretary of State, 6 July 1976". Retrieved 24 July 2011. ^ "Herman Eilts (US Ambassador to Egypt) to Secretary of State, 9 July 1976". Retrieved 24 July 2011. ^ Chabalier, Hervé (12 July 1976). "Israël: le prix d'un exploit" (PDF). Le Nouvel Observateur (in French). p. 25. ^ Williams, Louis (2000). The Israel Defense Forces: A People's Army. iUniverse. p. 131. ISBN 9780595143535. Retrieved 27 December 2012. ^ Dunstan, Simon (2011). Entebbe: The Most Daring Raid of Israel's Special Forces. Rosen Publishing Group. p. 53. ISBN 9781448818686. Retrieved 27 December 2012. ^ Alexander, Ben (4 July 2016). "Operation Thunderbolt: Daring and Luck". Centre for Israel and Jewish Affairs. Retrieved 17 April 2019. ^ a b c Melman, Yossi. "A history of cooperation between Israel and Kenya". The Jerusalem Post. Retrieved 26 September 2013. ^ Ephraim Kahana (2006). Historical Dictionary of Israeli Intelligence. Retrieved 26 September 2013. ^ "Ugandan agents killed former Cabinet minister, says dossier". Standard Digital News. Retrieved 26 September 2013. ^ Entebbe: The Most Daring Raid of Israel's Special Forces – Simon Dunstan. Retrieved 26 September 2013. ^ "The Rescue: 'We Do the Impossible'". Time. 12 July 1976. Retrieved 26 July 2009. ^ "Wars and Operations: Operation Thunderball ("Entebbe")" (in Hebrew). Israel Air Force(official website). ^ "Israel marks 30th anniversary of Entebbe". Associated Press in USA Today. 5 July 2006. ^ Stevenson, William (1976). Ninety Minutes at Entebbe. New York: Bantam Books. p. 100. ISBN 0-553-10482-9. ^ a b "Remembering Entebbe, Larry Domnitch". The Jewish Press. 1 July 2009. Archived from the original on 23 March 2011. Retrieved 4 July 2009. ^ David E. Kaplan (27 December 2012). "A historic hostage-taking revisited". The Jerusalem Post. Archived from the original on 27 December 2012. Retrieved 27 December 2012. ^ "Remembering Entebbe". Jerusalem Diaries. 3 July 2001. Retrieved 27 December 2012. ^ Berg, Raffi (3 July 2016). "Entebbe pilot Michel Bacos 'saw hostage murdered'". BBC News. Retrieved 3 July 2016. ^ Cawthorne, Nigel (2011). Warrior Elite: 31 Heroic Special-Ops Missions from the Raid on Son Tay to the Killing of Osama Bin Laden. Ulysses Press. p. 57. ISBN 9781569759301. Retrieved 27 December 2012. ^ "The Israeli Special Forces Database". isayeret.com. Archived from the original on 19 July 2016. Retrieved 2 July 2016. ^ Dunstan, Simon (2011). Entebbe: The Most Daring Raid of Israel's Special Forces. Rosen Publishing Group. pp. 51–53. ISBN 9781448818686. Retrieved 27 December 2012. ^ a b Verkaik, Robert (13 February 2007). "Revealed: the fate of Idi Amin's hijack victim". The Independent. London. Retrieved 4 July 2009. ^ Verkaik, Robert (13 February 2007). "Revealed: the fate of Idi Amin's hijack victim". The Independent. London. ^ "1976: British grandmother missing in Uganda". BBC News. 7 July 1976. Archived from the original on 27 December 2012. Retrieved 27 December 2012. ^ "Body of Amin Victim Is Flown Back to Israel". The New York Times. 4 June 1979, Monday, p. A3. ^ "1976: Israelis rescue Entebbe hostages". BBC – On this day. 4 July 2008. Retrieved 26 July 2009. ^ KALINAKI, DANIEL K. (3 July 2016). "Entebbe raid humiliated Amin, nearly caused East African war". Retrieved 27 February 2018. ^ a b c d Security Council, Official Records, 1939th meeting, 9 July 1976, S/PV.1939. ^ Security Council. United Kingdom of Great Britain and Northern Ireland and United States of America: draft resolution. Document S/12138, 12 July 1976. ^ a b Security Council, Official Records, 1943th meeting, 14 July 1976, S/PV.1943, p. 18. ^ Security Council. Benin, Libyan Arab Republic and United Republic of Tanzania: draft resolution. Document S/12139, 12 July 1976. ^ "Age of Terror: Episode one". BBC News. 16 April 2008. ^ "עכשיו, במבצע – תרבות ובידור". Ynet. 20 June 1995. Retrieved 24 July 2011. ^ "מבצע אנטבה". Mota.co.il. Archived from the original on 21 July 2011. Retrieved 24 July 2011. ^ "Conversation between Kissinger and Dinitz, 5 July 1976" (PDF). Retrieved 24 July 2011. ^ "Michel Bacos: the Air France hero of Entebbe". The Jewish Chronicle. 15 June 2012. ^ "Je dois ma vie à Tsahal". Hamodia (in French). 11 June 2011. Archived from the original on 30 December 2013. ^ Kiruga, Morris (15 September 2013). "20 killed in bomb attack on Norfolk". Daily Nation. Retrieved 23 September 2014. ^ "Nairobi assault: Kenyan terrorist attacks since 1980". Telegraph.co.uk. 21 September 2013. ^ Wahome, Patrick Mutahi. "War on terror or war on human rights? Implications of the "war on terror" for human rights in Kenya" (PDF). Retrieved 8 November 2012. ^ Nalty, Bernard C. (November 2003). Winged Shield, Winged Sword 1950–1997: A History of the United States Air Force. University Press of the Pacific. ISBN 1-4102-0902-4. ^ Ginsburg, Mitch (8 July 2015). 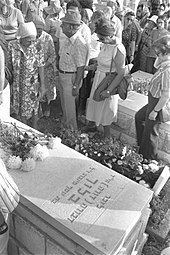 "In 1976 letter, Iran hailed Entebbe rescue, mourned death of Yoni Netanyahu". The Times of Israel. Jerusalem. Retrieved 8 May 2016. ^ a b Candia, Steven (14 August 2012). "Uganda, Israel honor 1976 Entebbe raid". New Vision. Archived from the original on 15 August 2012. Retrieved 14 August 2012. ^ McFadden, Robert D. (26 July 1976). "6 Film Studios Vie Over Entebbe Raid". The New York Times. Retrieved 27 April 2018. ^ "Live or Die in Entebbe (2012)". IMDb. ^ Operation Entebbe – 'Live or Die in Entebbe' Trailer. YouTube. 3 December 2012. Retrieved 9 January 2013. ^ "Amazon.com: Black OPS Season 1: Amazon Digital Services LLC". ^ Romirowsky, Asaf (6 July 2011). "The Entebbe Raid, 35 Years Later". National Review. Archived from the original on 27 December 2012. Retrieved 27 December 2012. ^ Cohen, Peter-Adrian. "theatreor.com presents A WORLD PREMIERE from an Israeli Perspective". Retrieved 5 July 2009. ^ "Untitled Theater Co #61's Fest of Jewish Theater & Ideas Runs". 20 May 2009. Retrieved 5 July 2009. Avner, Yehuda (2010). "26, Entebbe: Flight 139". The Prime Ministers: An Intimate Narrative of Israeli Leadership. The Toby Press. pp. 303–318. ISBN 978-1-59264-278-6. Blumenau, Bernhard (2014). "2, 'The German silence': the Entebbe hijacking of 1976". The United Nations and Terrorism. Germany, Multilateralism, and Antiterrorism Efforts in the 1970s. Palgrave Macmillan. pp. 59–73. ISBN 978-1-137-39196-4. Betser, Muki; Robert Rosenberg (1996). Secret Soldier. Sydney: Simon & Schuster. ISBN 0-671-85233-7. David, Saul (2015). Operation Thunderbolt: Flight 139 and the Raid on Entebbe Airport. London: Hodder & Stoughton. ISBN 978-1-44476-251-8. Dunstan, Simon (2009). Israel's Lighting Strike, The raid on Entebbe 1976. Osprey Publishing; Osprey Raid Series No. 2. ISBN 978-1-84603-397-1. Hastings, Max. Yoni: Hero of Entebbe. Doubleday. ISBN 0-385-27127-1. Netanyahu, Iddo. Yoni's Last Battle: The Rescue at Entebbe, 1976. Gefen Books. ISBN 965-229-283-4. Netanyahu, Ido; Netanyahu, ʻIdo; Netanyahu, Iddo; Hazony, Yoram (2003). Entebbe: the Jonathan Netanyahu story: a defining moment in the war on terrorism. Green Forest, AR: Balfour Books. ISBN 0-89221-553-4. Netanyahu, Jonathan; Netanyahu, Binyamin; Netanyahu, Ido; Wouk, Herman. Self-Portrait of a Hero: From the Letters of Jonathan Netanyahu, 1963–1976. Warner Books Inc. ISBN 0-446-67461-3. Netanyahu, Jonathan. The Letters of Jonathan Netanyahu: The Commander of the Entebbe Rescue Operation. Gefen Publishing House, Ltd. ISBN 965-229-267-2. Stevenson, William (1976). 90 Minutes at Entebbe. New York: Bantam Books. ISBN 0-553-10482-9. Wikimedia Commons has media related to Operation Thunderbolt. Operation Thunderbolt on YouTube, video by National Geographic, 4 min. Raid on Entebbe on YouTube video and digitised re-enactment, 9 min. Operation Thunderbolt – part 1 on YouTube video documentary – detailed, 9 min. part 2 on YouTube 10 min. The Greatest Hostage Rescue in History: Documentary on The Entebbe Raid. on YouTube documentary – detailed, 44 min.